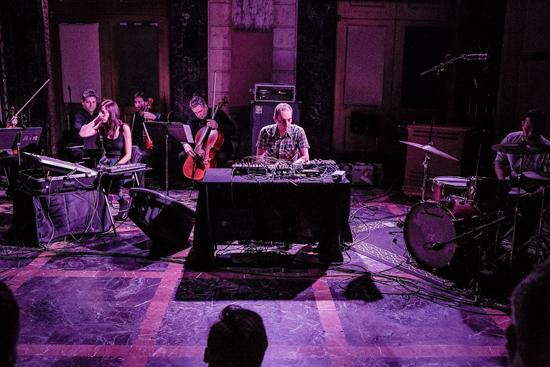 After a fallow year, the New York edition of Krakow's Unsound Festival returned in 2014 with a strongly-executed series of bracing events that draw from an even wider spectrum of music than before. 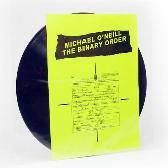 The initial editions, from 2010 to 2012, arrived before the general resurgence of electronic music in New York, and had helped bring together disparate threads of the underground, which anticipated and contributed to later local developments. As for any new festival, there were the expected changes in dates and venues as they found their footing, and the 2013 arrival of the massive New York Red Bull Music Academy in the same date window almost certainly contributed to Unsound's decision to take a year to restructure their approach. 2013 was a generally confusing year for music in New York, as the opening of several new venues failed to translate into promises for supporting the thriving local underground scene, and the artists were forced as a result to seek out venues farther afield - mostly in Brooklyn - for their own events. In late 2013 and 2014 things began to take a much firmer shape with regard to the participants who would push the forefront of music in New York. 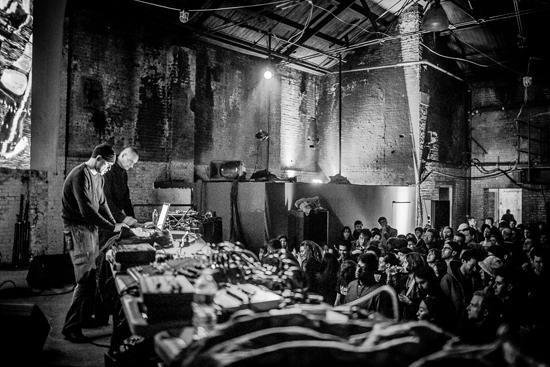 The tectonic drift of dancefloor music towards experimentalism, and of industrial, noise, and experimental music towards dancefloors, has made for interesting crossing threads and has been reflected in the worldwide popularity of labels like PAN, Avian, L.I.E.S., Hospital Productions, and others. In New York, this has translated into a shift whereby the long running, primarily avant garde space Issue Project Room has started to take up a considerable amount of bookings of experimental electronic artists, making it a natural central node for Unsound. 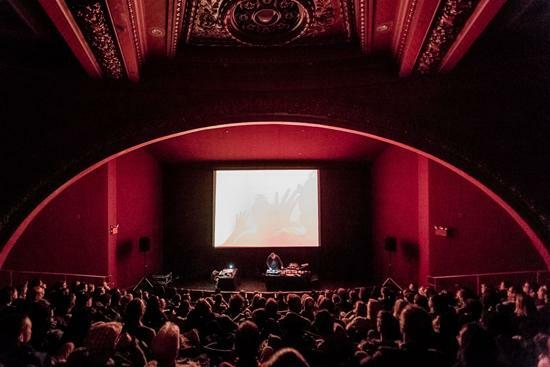 Of all the venues at this year's festival (presented by Fundacja Tone and the Polish Cultural Institute New York), they host by far the majority of the programming. Although Bushwick may now be the undisputed centre of the emerging experimental dance scene in Brooklyn, it is lacking in venues of the capacity to handle something as ambitious as Unsound. Thus, the two club nights are hosted as established Williamsburg venue Cameo and to The Wick, an as-yet-unopened industrial space that promises to be the next interesting thing for New York nightlife. The festival opens on Wednesday, April 2nd at Issue Project Room in fine style, with an evening that remains unchallenged as one of the most visceral of the festival. Especially EVOL's short opening set is overwhelming, bringing some spectators to the edge of physical discomfort. The existing descriptions of his music as deconstructions of rave hardly do justice to it; between the intense, accelerating strobe and the woozy, blasting hoover sounds that follow the light's tempo, his performance proves disorienting in a similar way to being lost in an endless breakdown at a dingy warehouse rave. The brief appearance of a costumed rabbit character in a felt suit walking through the audience only serves to amplify the dystopian surrealist atmosphere and the bad-trip-at-a-rave feeling. After this, Oren Ambarchi's New York debut of the expanded 'Knots' for guitar, drums, electronics, and strings seems relatively linear, calm, and certainly less disturbing, but the blinding half-hour long drum solo from powerhouse Joe Talia and Ambarchi's intensifying arcs of drone and feedback loops are hardly tame. Talia's endurance, virtuosity, and power are without doubt, and he propels the ecstatic opening section of the piece to dizzy heights. Also striking are Crys Cole's use of contact microphones and springs, which are combined with the strings in the more textural opening and closing sections to great effect. 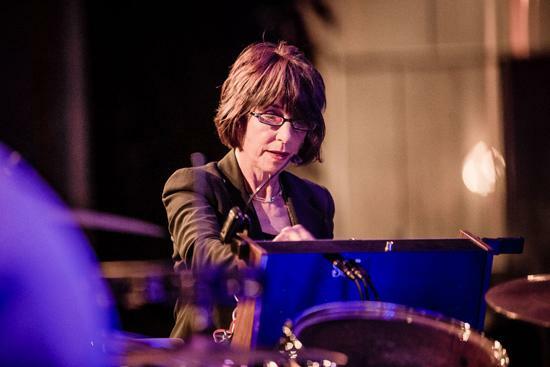 After this stormy opening session, things continue on the second day with Unsound's return to Lincoln Center's David Rubenstein Atrium, with performances from Polish duo Pietnastka and a debut from the trio of Andy Votel, Sean Canty, and legendary American electronic composer Suzanne Ciani. Pietnaska's Eastern, ethnically-influenced psychedelic music, performed on drum kit, keyboards, synthesizers, and sampler, is the first of a few sets in the festival that edge towards classic krautrock ideas and show off Poland's thriving psych scene. 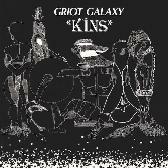 It's not the most interesting of the series, but their lively improvisations on synth with primitive electronics and rhythm boxes are involving and please the crowd. After a short break Ciani takes the stage behind her Buchla synthesiser while Neotantrik (Votel and Canty) take their places on the opposite end of the same stage. Ciani is mostly known for shorter format compositions, but this performance goes a bit longer, especially in the wandering first half. Certainly there's some interesting and skillful textural interplay from her modular synthesiser and the turntables and electronics from the duo, and the pre-prepared film backing, with its collage of nature and city scenes, reflects the music quite well. Ciani's use of the Buchla is hardly transparent, and it's difficult to make out where individual sounds are coming from. Just after the halfway point, the trio kick the performance up a few emotional notches and bring in a narrative element that had been mostly lacking in the first half, serving as a satisfying transition to end their performance with some weight after its gaseous opening section. The three remaining evenings each see the festival roving to various venues over the day, which inevitably brings with it certain difficulties due to distance, timing, and transportation issues. Things work out most smoothly on Friday, where the evening at the First Unitarian Church and a break afterwards gave ample time to make it to Cameo for the later dance party. 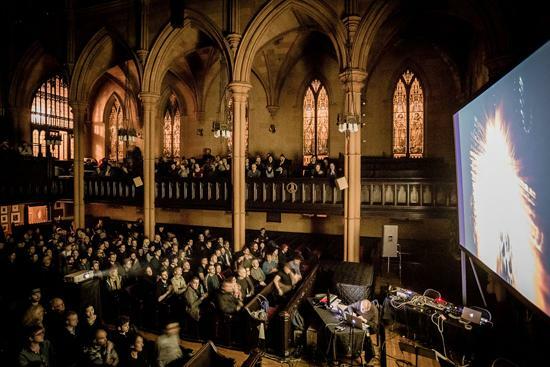 The church concert is one of the festival's more impressive events, with performances from Poland's Stara Rzeka, New York minimalist legend Phill Niblock, and Demdike Stare. Stara Rzeka is another participant in the Polish psychedelic scene, and his guitar and electronics make close parallels to the more electronic end of classic kosmische music for his extended first piece. To finish, he performs a long song, starting with solo vocals before eventually transitioning to his instruments, but this time with a clearer rock feel. Niblock's monolithic minimalism, accompanied traditionally by the composer's films, finds an impressive resonating chamber in the church, especially in the second piece where a pair of string players almost invisibly, but definitely not inaudibly, stalk the far aisles, adding their own motion to the dense psychoacoustic music. Demdike Stare, here accompanied by a string quintet and a film, give an airing of old and new material that, when combined with the visual material and the textures of the string players, brings out the dark romanticism that is always evident in their work but rarely so explicitly stated. It's reflected in the visual material from the film, which delves into images familiar from their album artwork - dramatic scenes of dancers with backdrops of coloured, exploding plumes of liquid apparently emanating from their bodies, and much more darkly symbolic scenes of masked characters playing obscure strategy games. Although not as driving as a dancefloor set are their show in summer 2013 at Berghain, it's the most narrative and compelling of the many performances I've seen from the duo, and the added musical and visual material suit the music well. The subsequent club night, co-presented with Brooklyn promoter Mutual Dreaming, continues with the diverse programming in a party split across two floors and stylistically split between techno, bass music, and more experimental electronics. It takes a few minutes for the venue to fill and happens quite suddenly, but by halfway through Wilhelm Bras' opening set the party is going strong. His music, performed on Octatrack, pedals, and a homemade pseudo-modular synthesiser, is heavy on detail but occasionally too frantic, and the rare moments when he lets things settle into a more extended groove are the highlights. 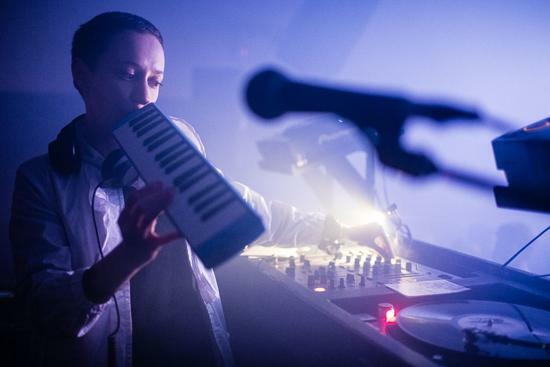 Although promised as live, copeland (aka Inga Copeland, formerly of Hype Williams) actually mostly performs a DJ set and delves deep into drum & bass records, particularly in the set's second half. She did spend some time on the microphone singing, accompanied by her own music, and while enjoyable it's less substantial and conceptual than her former duo Hype Williams' always-challenging performances. Downstairs a packed, sweaty dance party develops with Huerco S manning the tables, but the real action is to be found upstairs, with Rod Modell delivering a stunning set as Deepchord. A combination of dub bass, continuously-changing rhythmic content sourced from layered delays, and a strong sense of Detroit melody and funk has always distinguished Modell from contemporaries, and his set hits even harder than usual, with moments that recall a dubbed-out version of late 90s hard Detroit techno. Saturday's scheduling and concerts were the most problematic of the festival and also the busiest, with three events spread out over the day overlapping with artist talks. An early-ish start at Issue Project Room ensures I catch only the last section of Håkon Stene's pared-back interpretation of Michael Pisaro's Rice Falling, where he employs prerecorded elements to fill in for the ensemble the piece had originally been intended for. Even in its reduced form the conceptually simple piece is striking, as the amplified sound of rice falling on a metal sheet produces rolling layers of reverberation as Stene varies the speed he allows it to fall onto the sheet. Another conceptually simple but sonically rich piece of performance art follows, as Sean Meehan and Ben Manley employ a single snare and cymbal alongside three oscillating kitchen fans and five walkie talkies, three mounted on the fans, to create something that approaches minimalism in sonic content. Meehan's idiosyncratic technique of placing the cymbal atop the snare and using a rod to create sustained drones, modulated by opening and closing the snare, creates the central texture of the piece. To this Manley adds a combination of sounds and feedback loops on hand radios, controlled by regular motions of the fans and his own manipulations of the fan controls and radio volumes, to intensify or change the volume and pitch of the resulting feedback. 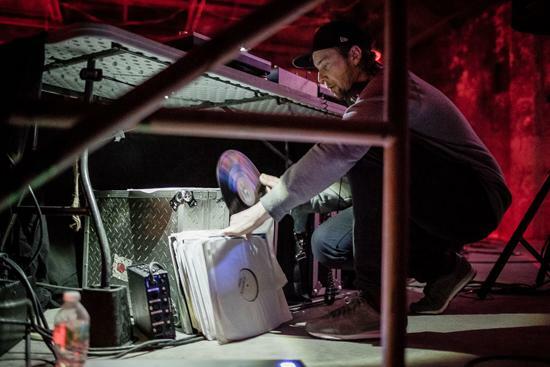 While certainly the most visually impressive of the festival's events, the nighttime Bunker party also proves the most musically problematic, and the overall flow problems were quite obvious from watching the large crowd who turned up. Booking a banner artist like Porter Ricks, making their NYC debut, raises expectations, and the overall newness of The Wick, a massive industrial space perfect for techno parties, raises them still higher. Things start off well with a pair of ambient sets from Norway's Le Petit Garçon and Robert Aiki Aubrey Lowe, the first a Nordic ambient guitar, electronic, and laptop set which builds to noisier moments as it moves on, and the second a surprisingly gentle new age-influenced performance that focuses on filling the large space with building layers of highly textured electronics and melodies. Ital & Halal's live debut is better than expected but has its flaws, relying heavily on classic techno tropes without audibly offering its own distinct interpretation of them. 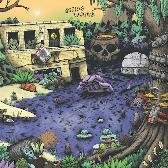 An unfortunate rhythmic flatness and lack of detailing on the percussion patterns prevents them from capitalizing on some dramatic acid builds and breakdowns that could work with more attention given to the drums. Taking to the stage an hour later than scheduled for unspecified reasons, Porter Ricks both deliver on and dodge expectations, with a set that's challenging even by their standards, but certainly powerful. 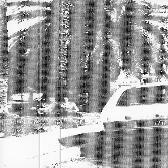 Many more casual fans often forget the bizarre material the duo released on Force Inc. around their classic Chain Reaction sides, and their set ranges far from techno and sees them delving into hip hop-tempo breakbeats for large portions, surrounded by the same oceanic ambience they're known for. Their glitchy visual content makes a good match for the textures in the music, especially compared to the awkward combination of dated, ravey digital images and forced psychedelic backgrounds accompanying previous sets. For the first time in the night, the crowd sync with the performers, as the visual and sonic element meld to some truly impressive music. Miles Whittaker finishes the night and does an expectedly excellent job, moving fluidly from house to techno to classic dubstep tracks from Martyn, Pinch, TRG, and others. Sunday began with an intriguing piece by Ben Vida in the unusual location of Experimental Intermedia, Phil Niblock's historic downtown loft/performance space. 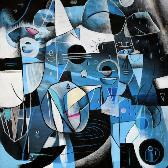 While Vida's work has deservedly received its share of acclaim recently, the excellent 'Damaged Particulates (Undersong Edition)' move past its electronic origins to explore the junction between the tactile and the auditory in a way rarely experienced outside of gut-pummeling sound systems at UK clubs or Jamaican dancehalls. It also does this without the associated ear damage: the seated participants are were given a vibrating SubPac bass backpack that channels subsonic frequencies in the piece directly into the body, while the audible portions are simultaneously projected on the sound system. The most interesting results of this are when Vida intentionally plays with perception across the audible and tactile divide, by slowly or quickly crossing between sonic and subsonic frequencies. Along similar lines is the olfactory/musical installation 'Ephemera', where Berlin-based perfumer Geza Schoen matches particular scents to works by Steve Goodman, Ben Frost, and Tim Hecker; the music and scent rotate on a daily basis. Both of these installations are scheduled to be expanded in forthcoming Krakow editions of Unsound, and their esotericism and excellent execution in New York are a fascinating outlier to the festival's program of events. For the final performance this evening, it's back to Issue Project Room for another diverse series of performances centered around the Bocian label. Polish psych duo Kapital kick things off with an electronic and guitar set that's the most exciting and articulate of the modern kosmiche featured over the five-day festival run. 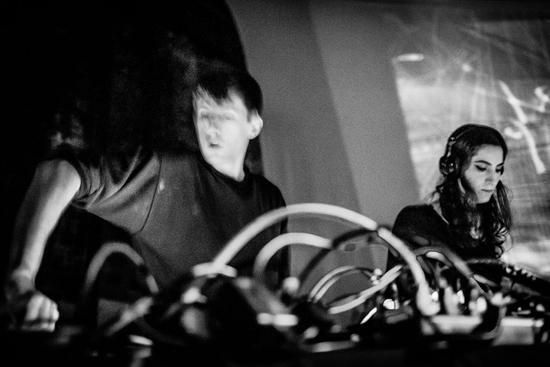 It's simultaneously more electronic, more ambient, and more full-bore psychedelic than other comparable sets, and the duo possess restraint, musicality, and a willingness to take things over the edge that set it as the best of the bunch. Norway's famed Paal Nilssen-Love follows with a bravura solo performance on drums, hand percussion, and an array of metal and wooden objects, showing off his vast repertoire of unconventional drum techniques as well as powerful chops. 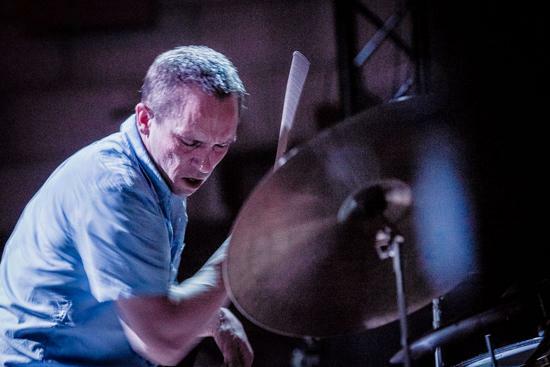 Even as a frequent punter for free jazz shows, I've never seen a drummer try some of the techniques he uses, which include playing his kit with various objects – wooden blocks, castanets, cymbals, various brushes and sticks, his fingers and hands, and finally using fingertips to play intervals across three snares. Intense moments of near-violence and flying metal objects alternate with passages of much more subtle musicality. While remaining firmly in the European free jazz idiom, his impressively varied set makes clear he's got much more to offer than many drummers who rely more purely on power. Even as New York's options for adventurous music of different forms have expanded over the past few years, it would still be very unusual to find so much of it in one place over such a short time as during Unsound New York. When they began in 2010 events of similar nature were much more widely scattered and rare, and it would be unfair not to give credit where it is due to the organisers for cultivating interest in experimental music. Music festivals are always difficult for the audience, promoters, and participants by their very nature; tackling so much in such a short time is both exciting and exhausting. In the grand scheme, a few misplaced moments or uneven performances over a few days matter little compared to the festival's overall success. By bringing unprecedented performances from international artists to existing and new spaces in Brooklyn, Unsound New York 2014 once again has helped to raise the bar for music enthusiasts, as well as suggest new directions for the quickly-progressing experimental scenes now developing across the city.